The bill that shapes the U.S. ag economy provides big money for land protections. Editor’s note: On May 18, the version of the farm bill described in this story failed in the House. An updated version was passed on June 21. Every five years, the U.S. Congress has to reauthorize the farm bill. In addition to its effect on food security and agricultural production, the farm bill — which is projected to cost about $387 billion altogether — is also the nation’s single largest funding package for conservation on private lands. That makes it crucial to the protection of endangered species and wildlife habitat, since 70 percent of the land in the Lower 48 is privately owned, and 40 percent of that is used for agriculture. Given that fact, and the length of time between bills, what does (and doesn’t) make it into the legislation has a huge impact on shaping Western conservation projects. Hay bales at the Kolka family’s K&D Livestock, Inc., near Stacey, Montana. The Kolka family has used both the Environmental Quality Incentives Program (EQIP) and Conservation Stewardship Program (CSP) for projects such as forest stand improvement, range monitoring, prescribed grazing, stock water developments, fencing, and relocation of a winter animal feeding operation. For more than 80 years, the farm bill has been the bedrock of the nation’s agricultural economy — stabilizing agricultural markets and bolstering rural development, as well as funding subsidized food programs for underserved communities across the country. Conservation funding has been tied to the bill since its inception in 1933, when Congress created a program to improve soil health in response to the Dust Bowl. That program has since evolved into the Natural Resources Conservation Service, part of the United States Department of Agriculture. Since then, the farm bill has expanded to protect other natural resources. In the West, it has helped fund conservation easement programs and conservation practices, boosting the resiliency of the greater sage grouse, among other programs. The farm bill typically receives bipartisan support, but the House Committee on Agriculture’s version passed along a strictly party-line vote (26-20). At issue was one of its largest budget designations: the Supplemental Nutrition Assistance Program, or SNAP, which distributes food stamps to more than 42 million people a year. Already, the bill’s sponsor, Committee on Agriculture Chairman Mike Conaway, R-Texas, faces pushback for including measures to tighten the work requirements for persons receiving SNAP — something Democrats strongly oppose. Now, the House draft needs to secure enough support to pass the entire House, a vote that’s expected in mid-May. The Senate also is working on its version, which has yet to be released. The House’s draft bill calls for the elimination of the Conservation Stewardship Program, the bill’s largest working-lands conservation program (by acreage), which currently enrolls over 72 million acres. The program provides a financial incentive for farmers who have already achieved some level of environmental stewardship, encouraging them to increase conservation practices such as grazing management, and planting cover crops and range grasses. The draft proposes folding this program into another conservation program called the Environmental Quality Incentives Program (EQIP). While EQIP also provides conservation tools, critics say it serves a more limited function. “The quality incentives program is saying we are addressing a specific problem or concern on your operation and looking at that in a silo,” said Alyssa Charney, senior policy specialist with the National Sustainable Agriculture Coalition. While this is beneficial on a project-by-project basis, it is not focused on the long-term stewardship of entire operations. On the other hand, “the Conservation Stewardship Program offers comprehensive conservation assistance to whole farms so it covers more acres of working land on a multi-year basis,” said Mary Pfaffko, policy analyst for Defenders of Wildlife. Both working lands programs fulfill different purposes, she said. Charney added that the stewardship program would lose some of its strongest benefits if housed under EQIP; for one thing, it would remove an eligibility component that currently restricts the program to farmers who are already implementing conservation practices. The draft bill also states that funding for “stewardship contracts” would be capped at 50 percent of total EQIP funding. Setting a funding cap rather than a minimum funding level could effectively end the program, Pfaffko said, because that means that no money has to be earmarked for the stewardship contracts. “Even though EQIP funding would go up overall due to wrapping (the two together), there are no assurances that there would be stewardship funding at all,” she said. 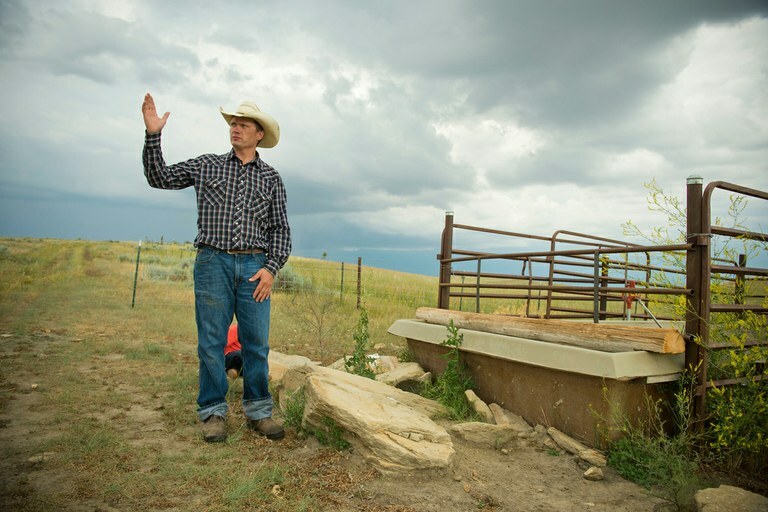 Casey Coulter, a rancher in Garfield County, Montana, uses both the Conservation Stewardship Program and the Environmental Quality Incentives Program for his livestock operation. Improving stock water capacity is part of his work to improve soil health. There is both good and bad news on the Conservation Reserve Program front. The program, which was launched in 1985, pays farmers to remove environmentally sensitive land from agricultural production, instead planting species that benefit the environment or bolster wildlife habitat. In 2008, the program had a cap of 32 million acres, a number that was reduced to 24 million acres in 2014. The recent draft will increase it to 29 million, which means more farmers can participate. However, in order to finance that increase, the draft recommends lowering payment rates. That could reduce the incentive for farmers to participate, particularly for the continuous enrollment component of the program which “provides incentive and support for partial field enrollments such as conservation buffers and other practices that protect water quality,” Charney said. The Agricultural Conservation Easement Program buys farmer’s development rights as a way to preserve agricultural land. While the program’s main focus is to ensure that working land stays in production, it also provides significant benefits for wildlife and habitat by keeping open spaces intact and restoring grasslands, and also by focusing attention on conserving wetlands and riparian habitats. Erik L. Glenn, executive director of the Colorado Cattlemen’s Agricultural Land Trust, who has worked with both the House and Senate Ag Committees during the drafting of their respective farm bills this year, said that he was happy with the decision to restore funding to the easement program to $500 million in the House draft of the bill, up from $250 million in 2014. But even if the Senate completely restored funding, Glenn said the program would still only satisfy about 25 percent of the demand. “We don’t think we’ll see the funding for the (agricultural conservation) program in the Senate version match the House version,” Glenn said. Environmental groups welcome the funding increase. 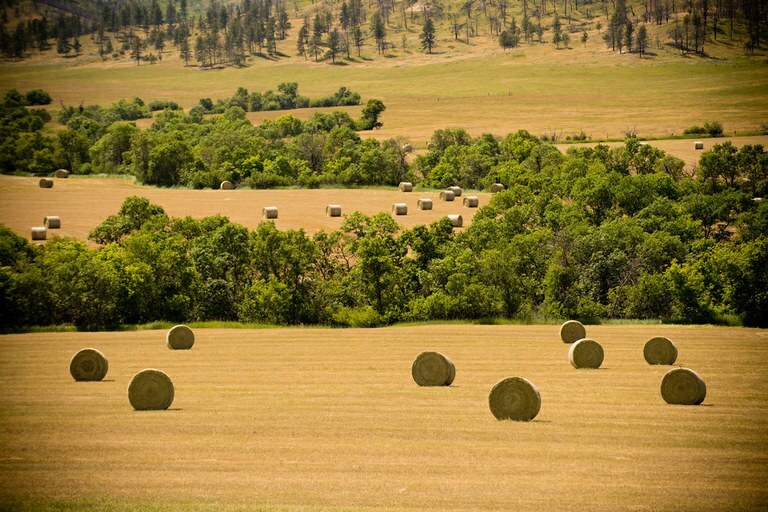 However, the House draft also recommends removing the requirement for an Agricultural Land Easement Plan, which prescribes conservation practices that will protect natural resources in order to maintain the land’s integrity. Glenn said the plan is burdensome to landowners who place easements on their property, because he believes there are other methods to promote conservation measures on working land. “There are programs that exist to do that, and those should be layered on top of easements and landowners should be compensated accordingly,” he said. Environmental groups, however, consider the plan necessary to maintain the integrity of the conservation easements. “By stepping back and only requiring (those plans) for highly erodible land (which is what the new bill suggests), we would definitely lose a key emphasis on conservation for agriculture easements,” Charney said. The farm bill reauthorization process is a lengthy one, but eventually — after many negotiations, amendments and debates — both the House and Senate will pass a draft, at which point members from both chambers’ Ag Committees will work to negotiate a final version, due in September. In the past, this process has gotten mired in negotiations, so that the bill has expired before funding could be renewed. But Republicans currently control both the House and the Senate, and the fact that it’s an election year gives the party extra incentive to finish the bill early, before the midterms potentially shift the balance of power. Note: This story has been corrected to properly identify the organization Defenders of Wildlife.